A two-day scenario planning workshop for Acadia National Park was held in October 2015. The primary objective of the workshop was to help Acadia senior leadership make management and planning decisions based on up-to-date climate science and assessments of future uncertainty. A two‐day scenario workshop in April 2015 for Apostle Islands National Lakeshore, Wisconsin. The primary objective of the session was to help senior leadership make management and planning decisions based on up‐to‐date climate science and assessments of future uncertainty. 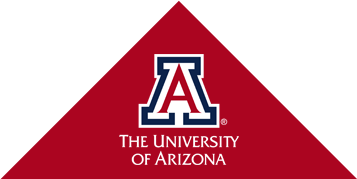 Scenario planning experts meet to discuss applications of scenario planning techniques at “Scenario Planning for Climate Change Adaptation Decision Making: The State of the Art” workshop held at the University of Arizona in 2015. The workshop examined how climate change may affect Isle Royale National Park’s resources, with an emphasis on the island’s forests and wolf and moose populations. Two case study parks were selected: Joshua Tree National Park (JOTR) and Kaloko-Honokohau National Historical Park (KAHO) for the project. A new research coordination network focused on scenarios, funded by a grant to the Harvard Forest from NSF.